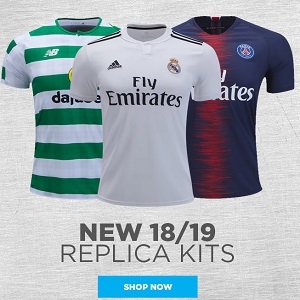 Spanish La Liga side Real Betis Balompié have launched a special edition 2019 kit from Kappa made of recycled plastic. The new jersey will be worn for the club’s league Earth Day weekend meeting against Valencia CF on April 21st. The Real Betis 2019 Recycled kit is in the team’s well-known green and white colorway. The shirt features green and white checkers on its front nstead of their usual home green and white vertical stripes. The sleeves, shoulders an back of the jersey are all green. “REAL BEIS” is printed on the outside of the back collar. Kappa’s Omini logo appears on the both shoulders. Now towards the end of their third consecutive season in La Liga, Real Betis currently sit in ninth place in Spain’s top tier of soccer.